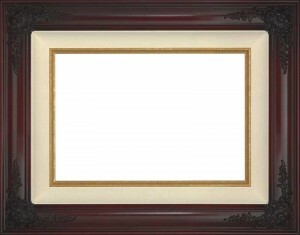 When you call us or contact us to get a quote, these Standard Frames are included in the “Framed” cost. 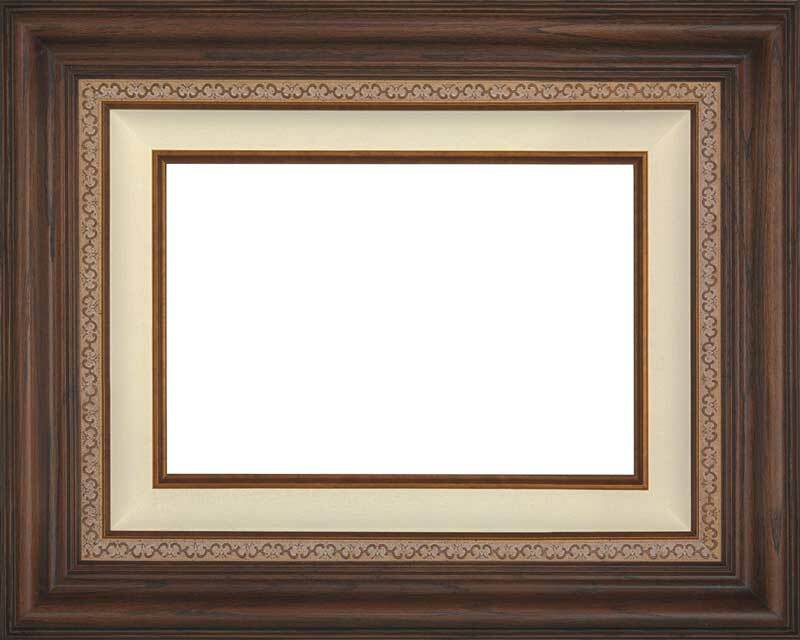 Rembrandt has an opulent cherry finish and lovely raised filigree edging that is slightly dusted in a lighter shade giving it a distinguished feel. 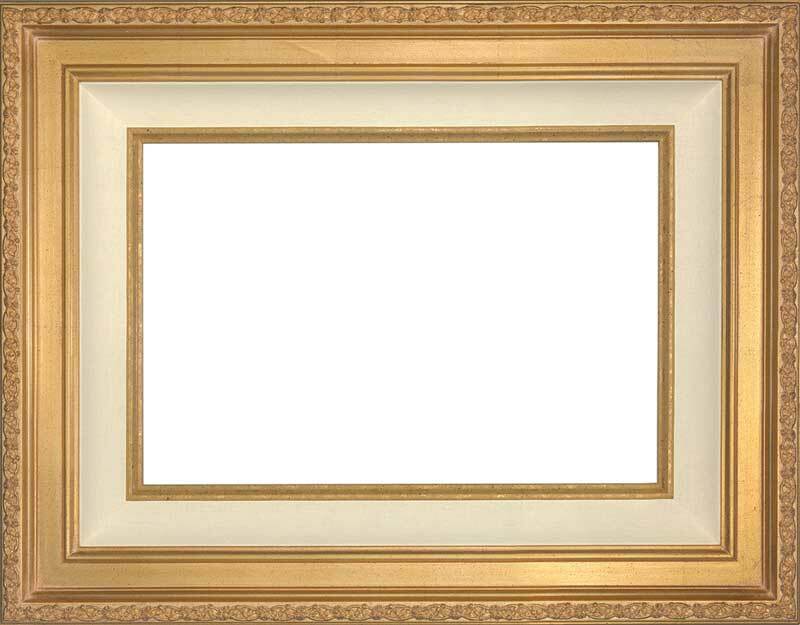 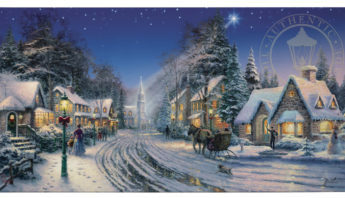 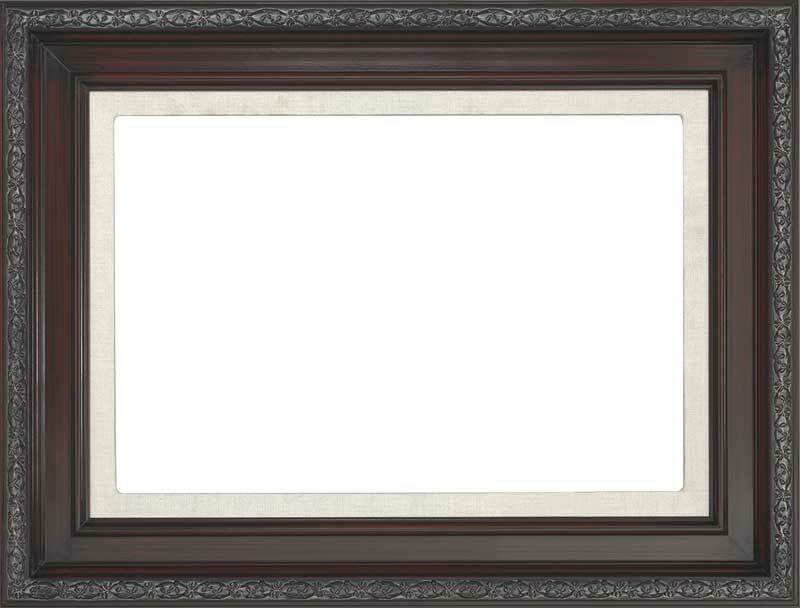 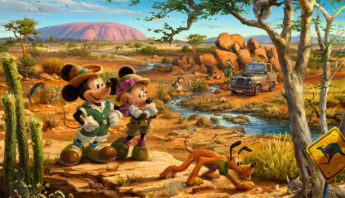 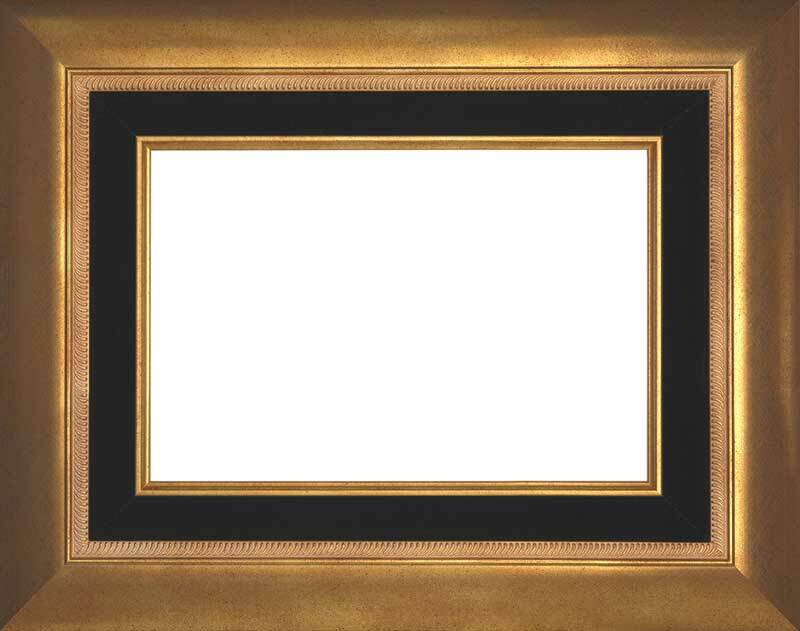 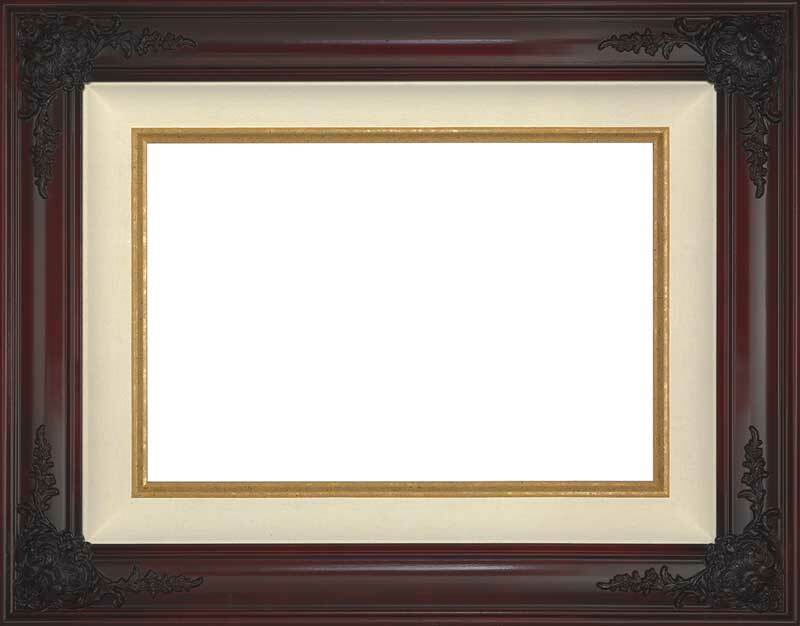 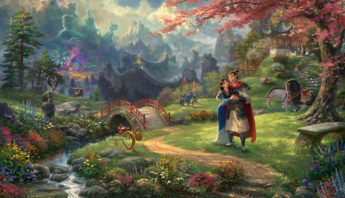 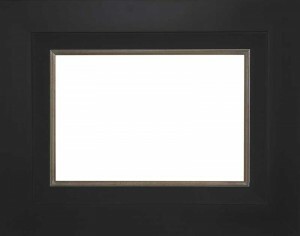 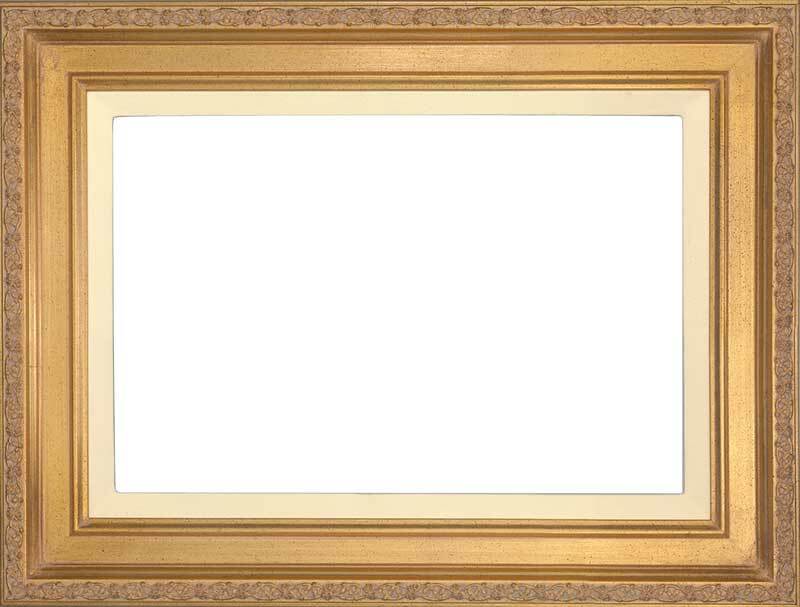 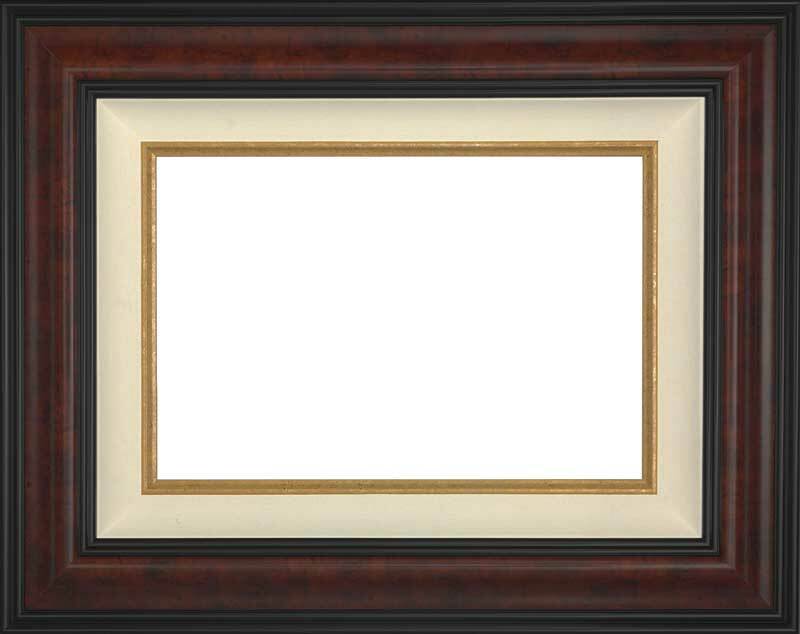 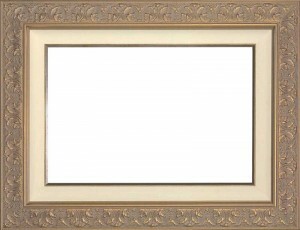 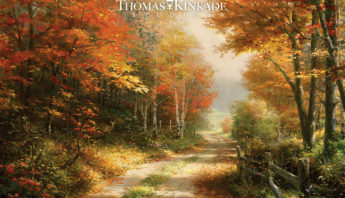 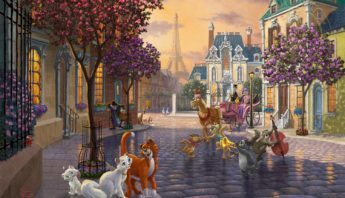 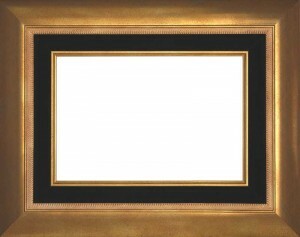 The smaller width, smooth finish and oatmeal linen liner make this frame a great choice for smaller works of art or art displayed in groupings. 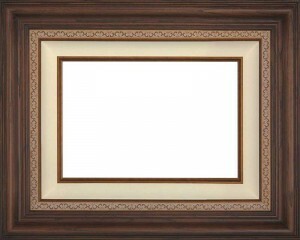 This wonderful frame is made of genuine hardwood and handcrafted in the USA. 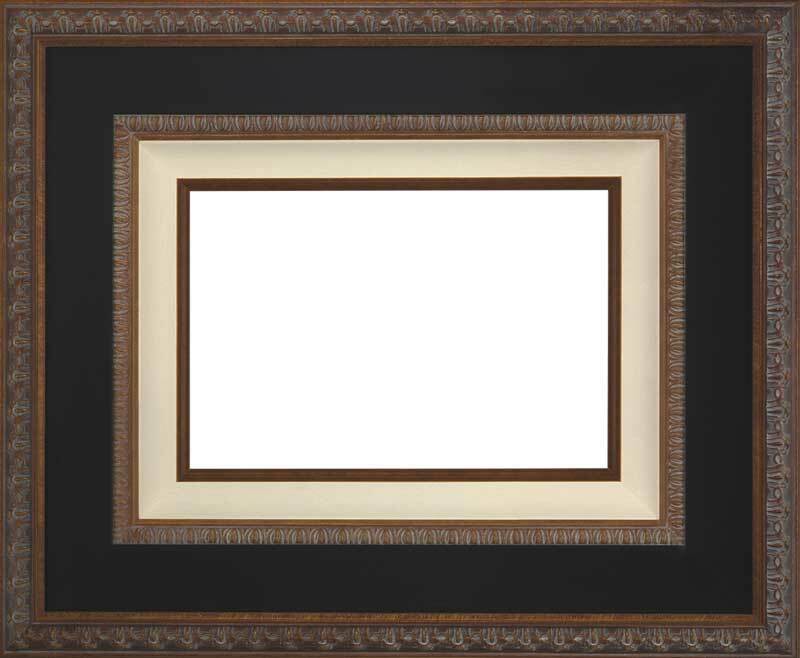 A slighter profile and the absence of a filet make the design of Michelangelo ideal for smaller pieces of artwork. 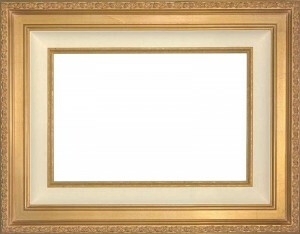 Michelangelo flawlessly complements other artwork framed in Antique Gold and features a cream linen liner. 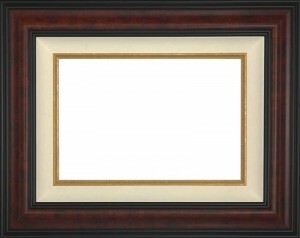 This frame is made of genuine hardwood and handcrafted in the USA. 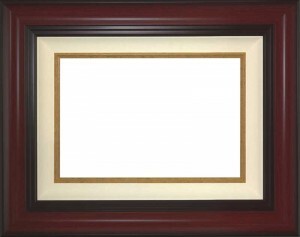 Sunset Cherry is a lush sun-kissed burgundy that slightly darkens on the edges. 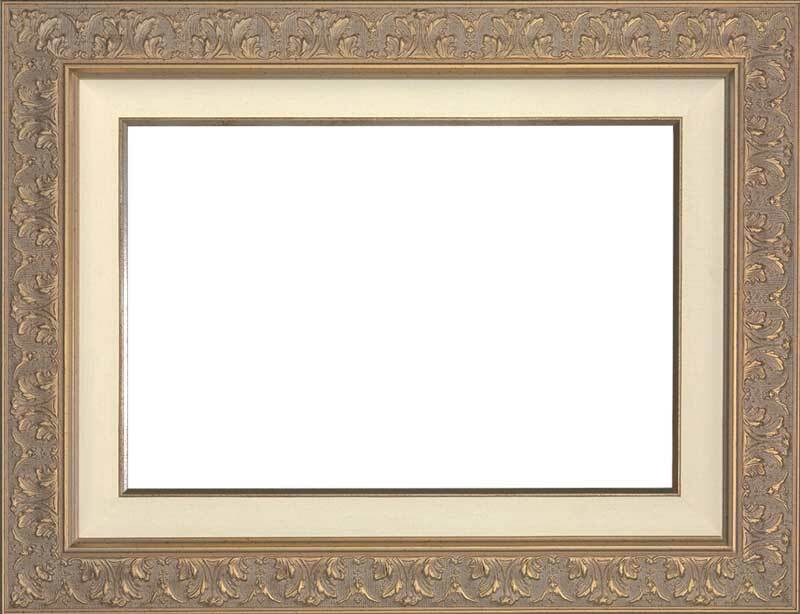 It features a beautiful cream linen liner and mottled gold inner filet. 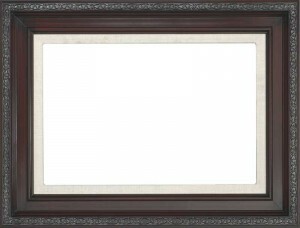 This frame is smooth finished for a sleek look in a color just right for todays home styles. 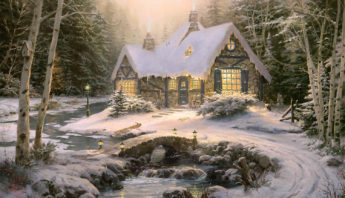 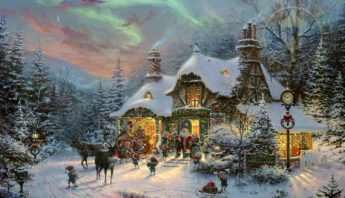 It is proudly hand crafted of genuine hardwood in the USA. Aurora Copper is finished in a dazzling deep copper satin sheen. With rope detailing between the hardwood and rich black linen liner, this updated design edges the images with a copper inner filet. 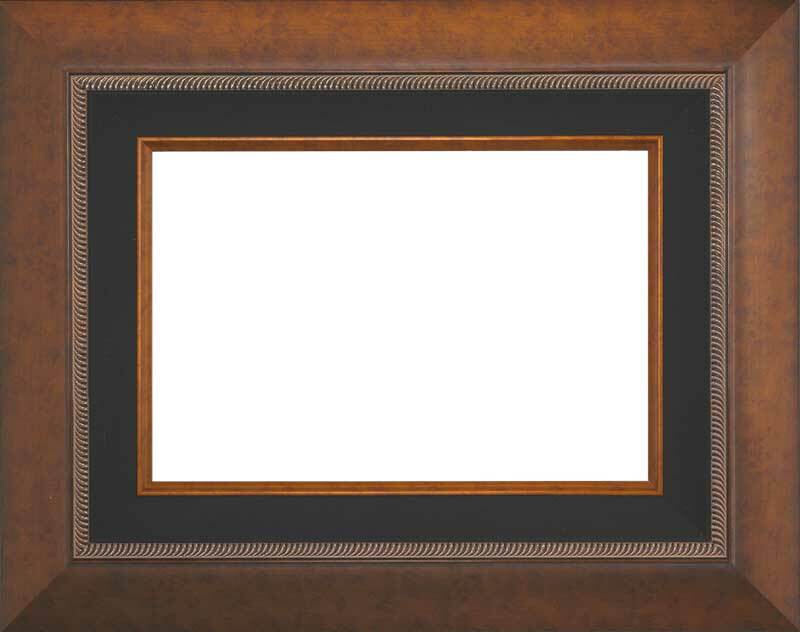 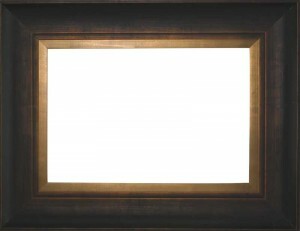 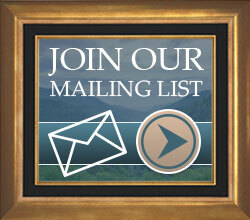 This versatile frame goes well with warmer toned artwork and the popular copper finishes in today’s home styling. 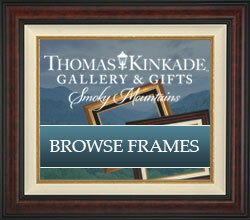 This frame is handmade of fine hardwood and crafted in the USA. Deluxe Victorian features a rich black panel sandwiched between a light bronze inner and an outer filigree moulding. 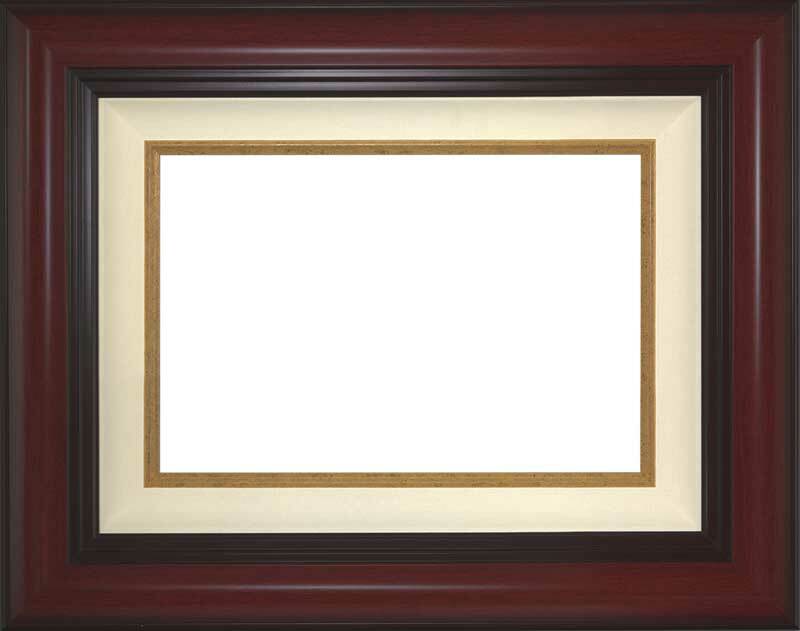 A cream colored linen liner and a darker bronze filet complete the frame design, giving it a a look of warm elegance in an updated style. 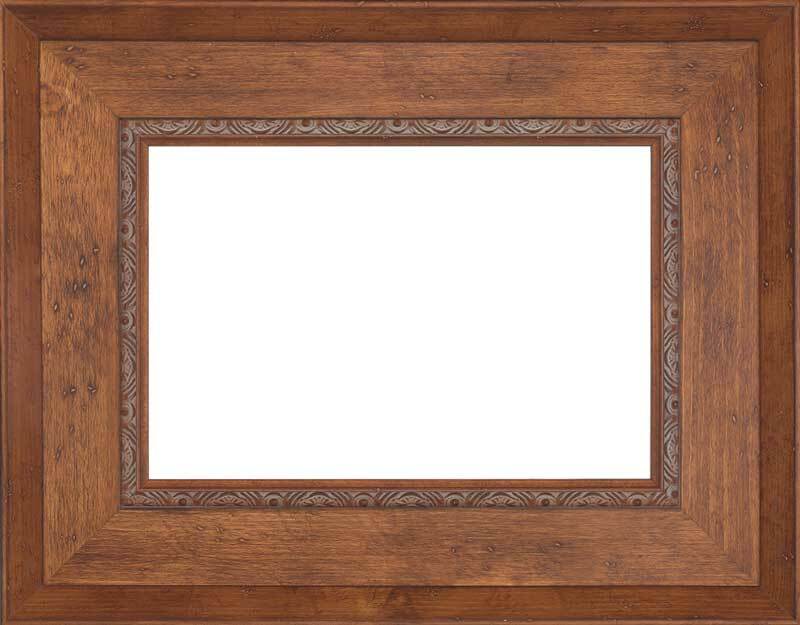 It is proudly made of solid hardwood in the USA.